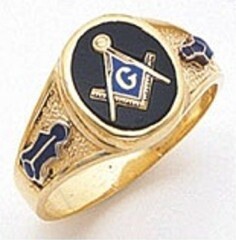 Scottish Rite & Shrine Ring 10KT or 14KT Gold, Open or Solid Back. Shrine emblem on one side and the Double Eagles on the other side of the shank. 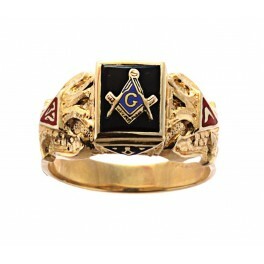 14th degree and 32nd degree triangles available in red or black enamel. This ring is approximately 11/16ths wide. 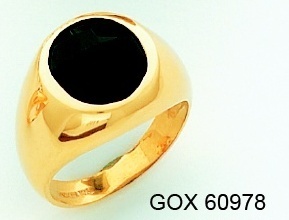 These are beautiful rings made by a high quality jewelry manufacturer. 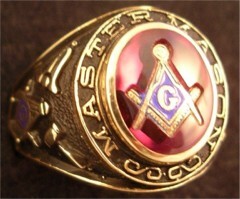 They are heavier than most rings made by our competitors. 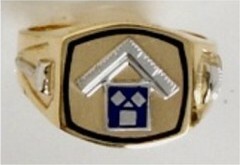 Expect to pay much more when purchasing this ring from a quality jewelry store!